Old Brand New studio is shaping up! 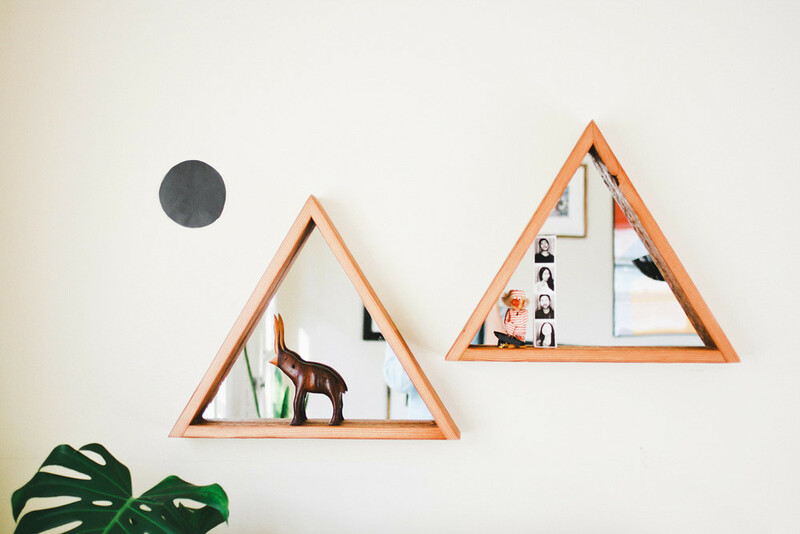 I just installed these two awesome triangle mirrors made from reclaimed wood by Made For Each Other (MFEO). They're called Troika mirrors. 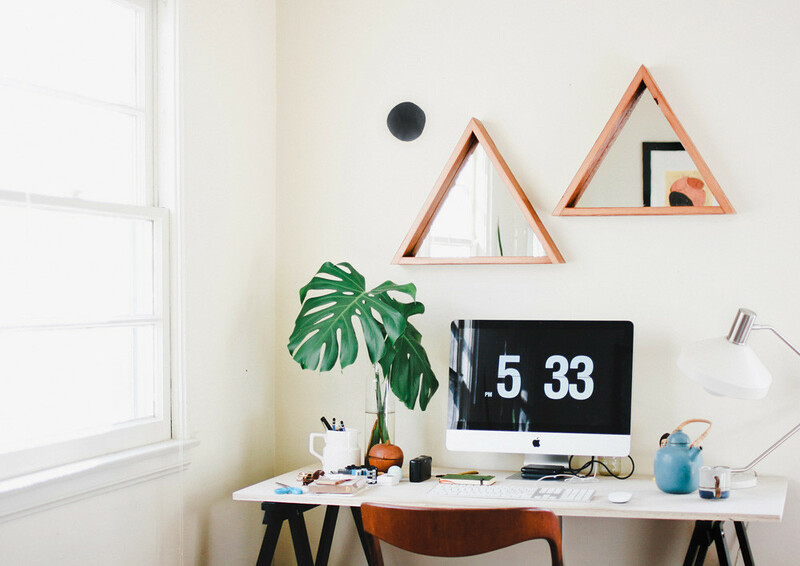 They're like little triangle shelves too so you can put your tchotchkes or photos on it. I discovered Made For Each Other from UniqueLA and fell in love with their work. 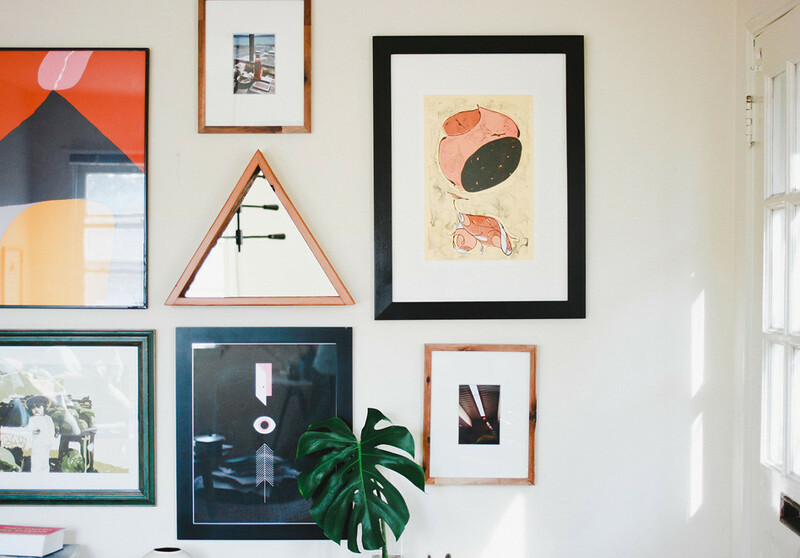 Check out their shop for other beautiful pieces made from sustainable materials for your home.